After having been lay abbot of Santa Maria in Sylvis since 1441, in 1445 he succeeded Giuliano Cesarini as archpriest of the Vatican Basilica. Platina reported that Pius II suggested he should have been called Maria Pietissima (Our Lady of Pity), as "when he could not obtain what he aimed at by praying, entreating, and requesting, he would join tears to his petitions to make them the sooner believed." Some historians have suggested the nickname may also have been an allusion either to Paul's propensity to enjoy dressing up in sumptuous ecclesiastical finery, or possibly a lack of masculinity reflecting possible homosexuality. He was elected to succeed Pope Pius II by the accessus in the first ballot of the papal conclave of 1464 with a majority of fourteen of the nineteen cardinals present. Beforehand, to secure to the cardinals a greater share of power than they had enjoyed under Pius II, a capitulation was subscribed by all except Ludovico Trevisan. It bound the future Pope to continue the Turkish war, but he was not to journey outside Rome without the consent of a majority of the cardinals, nor to leave Italy without the consent of all. 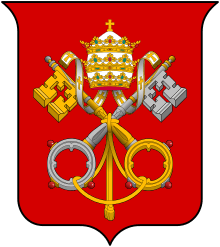 The maximum number of cardinals was limited to twenty-four, and any new Pope was to be limited to only one cardinal-nephew. All creations of new cardinals and advancements to certain important benefices were to be made only with the consent of the College of Cardinals. Upon taking office, Paul II was to convene an ecumenical council within three years. But these terms of subscription were modified by Paul II at his own discretion, and this action lost him the confidence of the College of Cardinals. 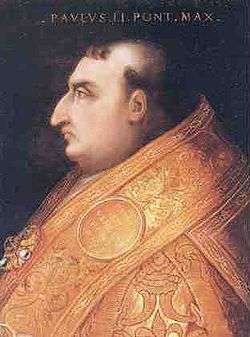 The justification for setting aside the capitulations, seen to be under way by the Duke of Milan's ambassador as early as 21 September, lay in connecting any abridgement of the Pope's absolute monarchy in the Papal States with a consequent abridgement of his sole authority in spiritual matters. Almost from his coronation, Paul withdrew and became inaccessible: audiences were only granted at night and even good friends waited a fortnight to see him. His suspiciousness was widely attested. 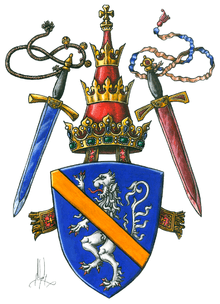 Unusual in ecclesiastical heraldry, Paul was known to display the Sword of State and Sword of Justice in contemporary renditions of his arms to remind Paul's opposition and detractors of his supreme power to make law and deal in death. He wore rouge in public. The story of Cardinal Ammanati that he meant to take the name Formosus II ("handsome"), but was persuaded not to, is more often repeated than the story that he was dissuaded from Marcus, being Venetian and the Cardinal of San Marco, because it was also the war-cry of Venice. He had a papal tiara made for his own use studded with "diamonds, sapphires, emeralds, topaz, large pearls, and every kind of precious gem". He built the Palazzo San Marco (now the Palazzo Venezia) and lived there even as pope, amassing a great collection of art and antiquities. A sore point was his abuse of the practice of creating cardinals in pectore, without publishing their names. Eager to raise new cardinals to increase the number who were devoted to his interests, but restricted by the terms of the capitulation, which gave the College a voice in the creation of new members, in the winter of 1464–65 Paul created two secret cardinals both of whom died before their names could be published. In his fourth year as Pope, he created eight new cardinals on 18 September 1467. Five were candidates pressed by kings, placating respectively James II of Cyprus, Edward IV of England, Louis XI of France, Matthias Corvinus of Hungary and Ferdinand I of Naples; one was the able administrator of the Franciscans; and the last two elevated his old tutor and a first cardinal-nephew. Two further cardinal-nephews were added on 21 November 1468. In a sign of his increasing secretiveness and paranoia, he added two more cardinals secretly at the same consistory, and four more at the beginning of 1471, expecting to reveal them only in his testament. Tensions with the College of Cardinals came to the fore when in 1466, attempting to eliminate redundant offices, Paul II proceeded to annul the College of Abbreviators, whose function it was to formulate papal documents; a storm of indignation arose, inasmuch as rhetoricians and poets with humanist training, of which Paul deeply disapproved, had long been accustomed to benefiting from employment in such positions. Bartolomeo Platina, who was one of these, wrote a threatening letter to the Pope, and was imprisoned, but later discharged. However, in February 1468, Platina was again imprisoned on the charge of having participated in a conspiracy against the Pope, and was tortured along with other abbreviators, such as Filip Callimachus, who fled to Poland in 1478, all of whom had been accused of pagan views. Not unaccountably, Platina, in his Vitae pontificum, set forth an unfavorable delineation of the character of Paul II. Though Platina's writing after the conflict would tarnish the legacy of Paul II, the conflict would prove to have an greater effect on the intellectual environment of Rome. Peter Partner explains, "Probably its most important result was to convince men of letters that cultural conformity would be enforced in Rome." More tangibly, after the crackdown of Paul II, the Roman Academy took on a more religious flavour, turning in part to theology as a means of legitimizing its pursuits. Pope Paul rejected King George of Poděbrady of Bohemia because he upheld the conventions of the Council of Basel in favor of the Utraquists. In August 1465, Paul II summoned Poděbrady before his Roman tribunal. When the King failed to come, Paul allied himself with the insurgents in Bohemia and released the King's subjects from their oath of allegiance. In December 1466, he pronounced the ban of excommunication and sentence of deposition against Poděbrady. Poděbrady's apologist, Gregory of Heimberg, subsequently accused Paul of immorality, a move that resulted in Gregory's own excommunication. Just when the King's goodwill disposed the Pope in favor of reconciliation, Paul died suddenly of a heart attack on 26 July 1471. Reports of the death varied. Some claimed he had collapsed from severe indigestion after eating melon in excess. Some (mainly the pontiff's detractors) say that he had died whilst being sodomized by a page boy. Nevertheless, as a result a power vacuum was created in Central Europe – especially after Poděbrady himself died in March of that same year. Although Paul II was a committed opponent of humanist learning, he oversaw and approved the introduction of printing into the Papal States, first at Subiaco in 1464 by Arnold Pannartz and Konrad Sweynheim, and at Rome itself in 1467. The result was that books and other documents became far more numerous and less expensive to procure than the previous handwritten manuscripts. Printing put the materials needed for an advanced education into the hands of more people than ever before, including an increasing number of laypeople. The output of printing presses at this period was, as a matter of course, subject to governmental scrutiny; during Paul II's reign, books produced in the Papal States were largely limited to Latin classical literature and ecclesiastical texts. The chronicler Stefano Infessura's republican and anti-papal temper makes his diary a far from neutral though well-informed witness. But it is certain that though Paul II opposed the humanists, he was the best in providing for popular amusements: in 1466 he permitted the horse-race that was a feature of Carnival to be run along the main street, the Via Lata, which now became known from this annual event as the Via del Corso. This event revealed deep Anti-Semitism, as the Pope forced Jews to run naked in the streets for the amusement of non-Jews. He has also been attributed with the practice of requiring Jews to visibly identify themselves by wearing yellow handkerchiefs in public, a process used later in Holocaust times. Paul II displayed an extravagant love of personal splendor that gratified his sense of self-importance. After his death Sixtus IV and a selected group of cardinals inspected the treasure laid up against expenditures against the Turks: they found 54 silver shells filled with pearls, to a value of 300,000 ducats, jewels and gold intended for refashioning, worth another 300,000 ducats, and a magnificent diamond worth 7,000 ducats, which was sent to Cardinal d'Estouteville to cover monies he had advanced to the pontiff. The coin was not immediately found. He had also amassed a collection of 800 gemstones. However, the Catholic Encyclopedia asserts, "justice requires notice of his strict sense of equity, his reforms in the municipal administration, and his fight against official bribery and traffic in posts of dignity." In statecraft, Paul II lacked eminence and achieved nothing of consequence for Italy. In the Papal States, however, in 1465 he eliminated the regime of the counts of Anguillara, a house that had played a consistent anti-papal role since the plot of Stefano Porcari and the unruly insurrection of Tiburzio di Maso in 1460. 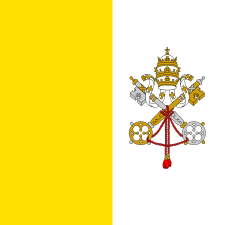 ↑ "The populace assembled in front of the Vatican received the news with joy," Pastor duly notes (IV:ii); acclamation of a new bishop of Rome by the people was a custom of the early church long in abeyance. ↑ Pastor IV 1894:13 and note, 15. ↑ "Francis A. Burkle-Young, "The election of Pope Sixtus IV (1471): Background"". Fiu.edu. Retrieved 2013-06-23. ↑ Partner, Peter, The Pope's Men: The Papal Civil Service in The Renaissance (Clarendon Press), 23–24. ↑ A cardinal's report to the Duke of Milan's ambassador, related in Pastor vol. IV 1894:211. ↑ Weber, N. A. (1913). 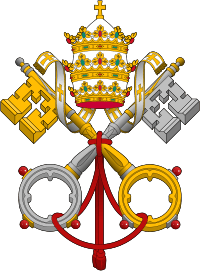 "Pope Paul I". In Herbermann, Charles. Catholic Encyclopedia. XI. New York: Robert Appleton Company. Wikimedia Commons has media related to Paulus II. "Paul. The name of five popes. Paul II". New International Encyclopedia. 1905.